2 What is Fatty Liver? 3 What are the Symptoms of Fatty Liver? 4 What are the Causes of Fatty Liver? 6 How to Prevent Fatty Liver Disease? 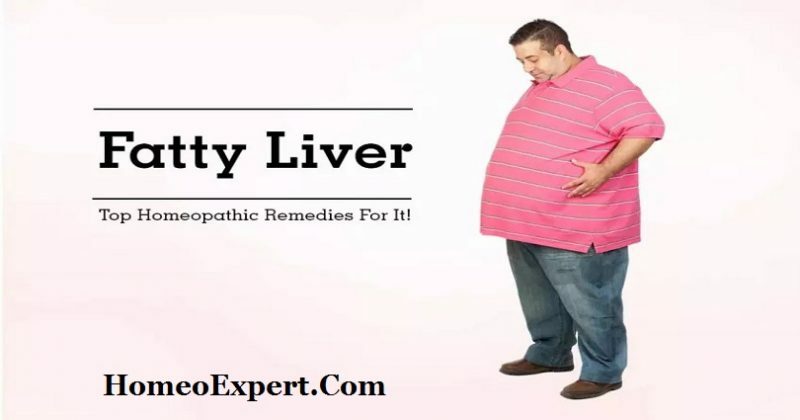 In this post, I shall discuss the best homeopathic medicine for fatty liver or top homeopathic remedy for fatty liver. Fatty liver is a term that stands for the buildup of fats in the liver. It is a normal condition to have a small amount of fats in your liver but too much accumulation of fats can lead to a health condition. The liver is the second largest organ in the human body and it is responsible for the processing of everything we drink or eat and filters the harmful substances from our blood. Homeopathic medicines for fatty liver can reverse the condition of fatty liver and bring it back to normal. Homeopathic remedies are made of natural substances and prescribed to patients after taking the symptoms experienced by the patient. The natural homeopathic medicines for fatty liver are safe and completely devoid of side-effects. What are the Homeopathic Medicines for Fatty Liver? Chelidonium is one of the best natural homeopathic remedies for fatty liver. The prominent symptoms of this medicine are the pain under the right shoulder and pain in the right upper abdomen. Enlargement of the liver may also present. The patient usually experiences constipation. He/she passes the stool in the form of hard balls. Nausea and vomiting are also present with distended abdomen. In addition, the person also suffers from excessive weakness. Homeopathic medicine Chelidonium acts well in case of jaundice with fatty liver. The prominent symptom that leads to the selection of this medicine is craving for hot drinks and hot food. Lycopodium Clavatum is another homeopathic medicine for fatty liver when it is accompanied by gastric troubles and acidity. The person experiences distension or bloating of abdomen soon after consuming anything. The abdomen of the patient is full of gas. Burning belching is also present. Even having a little food causes a fullness in abdomen. The person feels pain and heaviness in the upper right part of abdomen. Generally, the symptoms become worse between 4-8 pm. Farinaceous food makes the condition worse. An unusual desire for hot drinks and sweets may also present. Nux Vomica is another homeopathic remedy to cure fatty liver with pain in abdomen after eating. It is the best treatment in homeopathy for those patients who are suffering from fatty liver due to over consumption of alcohol. It is recommended when the pain in abdomen starts a few hours after eating with a feeling of stone in abdomen. Bitter or sour belching is also present with pain. Homeopathic medicine Nux Vomica is also ideal medicine for fatty liver when it is accompanied by constipation with an incomplete desire to pass poop or stool. The stool is unsatisfactory and insufficient in nature. The passing out of stool provides relief from the pain in the abdomen but the desire to pass poop is renewed soon after. In addition, the patient desires for spicy food, coffee, fatty food and alcoholic drinks. Phosphorus is another medicine to cure fatty liver patients who experience as if the food is coming upwards after eating. It is associated with sour belching. Vomiting may also present in some cases with pain in liver. The flatus and stool of the patient are very offensive. The person feels weakness after passing poop. In addition, the desire for peculiar things in diet is an important sign to use this homeopathic remedy in fatty liver patients. It includes cold drinks, ice creams and refreshing items like juices. Calcarea Carb is an ideal homeopathic medicine for obese fatty liver patients. The patient is flabby, fatty with excess of fat in liver and whole abdomen. This homeopathic medicine helps the patient to burn the excess fat present in liver. The digestion is very slow in such patients with long-standing constipation. In addition, the abdomen of the patient always remains distended. Milk is not suitable for these patients. A few prominent symptoms that need to be noted are desire for strange things like pencils and chalk and boiled eggs. The patient is sensitive to cold air and excessive sweating on the head is also there.